Is your indie my indie, INDIE88 FM Toronto? 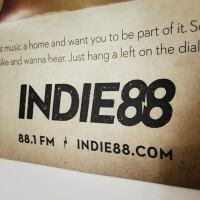 There is a new FM station in Toronto, promising to be like no other: INDIE88. Just that their indie is not my indie, yet. I must have listened too much Resonance FM, and hoped for one in Toronto. Therefore you, the struggling indie artist of Toronto, do not set your hopes high. Your music must be great already to get on air.There is no way Indie88 will use its airways to test new music and take risks with local Toronto “no-name” artists. The new station calls itself INDIE and – during my September 4th morning commute – played, for example, Fiona Apple (the 2012 album released at Epic Records, a division of Sony Music Entertainment; she was on the cover of the Rolling Stone at least once). 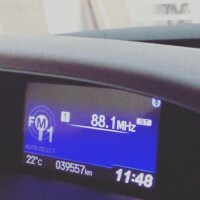 Around 10:30 I heard “new music on Indie88” with Franz Ferdinand. These are truly un(or under)-signed, do-it-yourself, non-mainstream indie artists, huh? I thought it’s just a poor name choice when noticing a wonderfully titled feature: CHOOSE THE MUSIC. In fact, all that feature does is collect your data for future surveys. An inspired little dirty marketing trick. Go to THE MUSIC > PLAYLISTS and you’ll find tons of quality playlists that you can actually listen! I love radios that do this. My favourite one so far is Raina’s Back To School Playlist , but I enjoyed Daniel Busheikin’s inclusion of Kraftwerk on his. 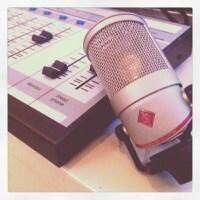 Indie 88 is a full-blown commercial station, with a pro sound, seasoned hosts and colorful playlist, but without any connection and airspace to underground Toronto artists. Found about it in Alan Cross’ newsletter (you should subscribe).